Il Caminetto’s 4-Course Prix Fixe Menu is Back! Sundays through Thursdays. $39 per person. Il Caminetto brings a fresh, contemporary style of dining to the mountains. Executive Chef James Walt’s regionally focused menu melds Italian and local flavours with artisanal flair. One of the country’s leading chefs, a cookbook author and a “farm-to-table” pioneer, James Walt continues to inspire his guests, creating compelling regional cuisine based on local, sustainable ingredients. A graduate of the Stratford Chefs School, his impressive culinary career spans across several of British Columbia’s leading restaurants including a four-year tenure at Sooke Harbour House and as opening chef to sister restaurant Blue Water Cafe in Vancouver. James was also Executive Chef to the Canadian Embassy in Rome, Italy; an experience that helped shape the way he cooks today. James is Whistler’s only chef to cook at the celebrated James Beard House in New York City where he has performed on three separate occasions. 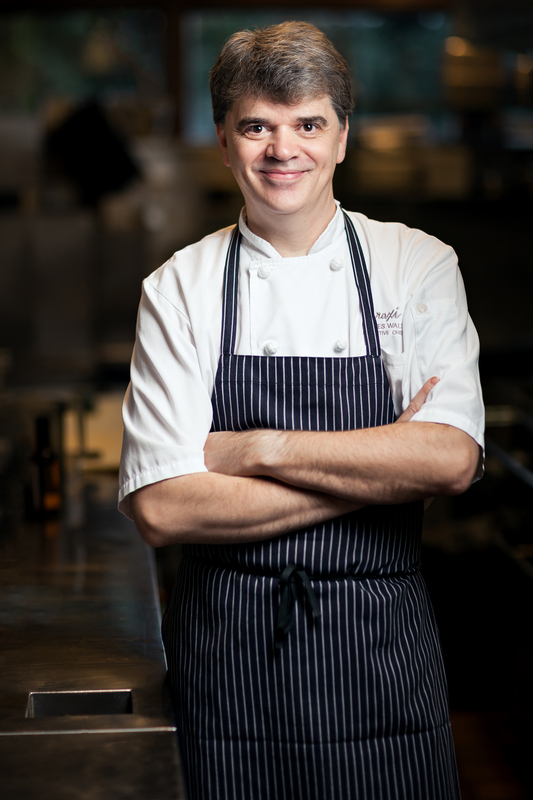 He has been voted best chef in Whistler by Pique Newsmagazine and was inducted into the British Columbia Restaurant Association Hall of Fame in 2011. James continues to oversee the kitchens of Araxi, The Cellar by Araxi and Bar Oso in addition to his new duties at Il Caminetto. James lives in nearby Squamish where he works closely with local farmers and producers and personally selects the freshest ingredients featured on the Il Caminetto menu.